Who can use this tender bond? A developer, buyer. public authority or other organisation. It is also known as a bid bond. What is this tender bond for? It is for use by a company or organisation inviting tenders for a contract who require security against the risk of the successful bidder failing to enter into the contract. 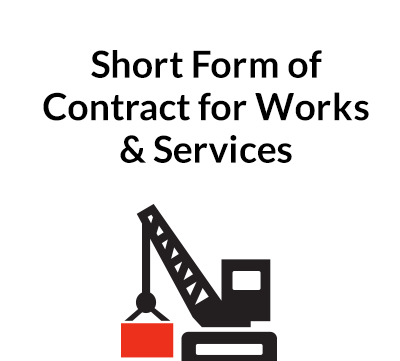 When that happens, it involves cost for the organisation as well as delay in the contract award process, especially on a high value project. They need a document which, if it is called, gives them a reasonable amount to cover the potential disruption. In addition, the bond needs to be in an “on demand” form so that immediately the successful bidder defaults, the beneficiary can demand and obtain payment from the bank that issued the bond. 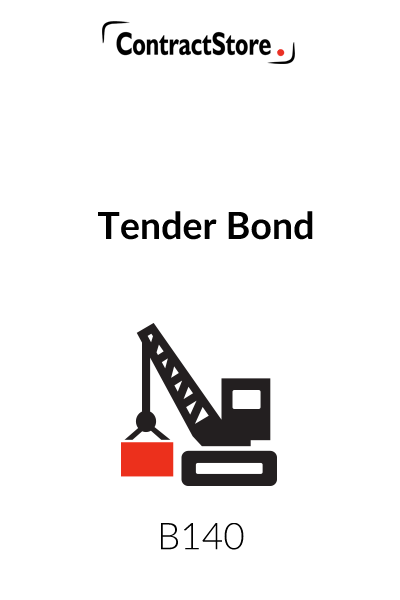 What does the tender bond contain? For more information, see our Explanatory Notes below which you will also receive when you download the document from our website. We also have templates for an advance payment guarantee, a performance bond and a payment guarantee. Yes, you can. ContractStore’s templates are prepared in MS Word and are easy to edit. You can use it as often as you like in your business. ContractStore is a publisher of legal templates, not a law firm. But we have well-qualified lawyers who prepare all our documents. So, we can arrange legal support if required. See our Legal Services page. 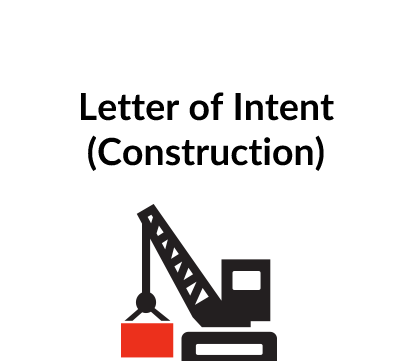 It is not uncommon for those who invite tenders to require that the tender is accompanied by a Tender Bond or Tender Guarantee. Tender Bonds are usually only used when the contract is a high value one or where the project being tendered is time critical. The underlying purpose of a Tender Bond is to demonstrate the commitment of the Tenderer to proceed if it is successful in its bid. It is not unknown for a Supplier to submit a Tender for a Contract and then refuse to proceed with the Contract when it is awarded to it. In those circumstances a Buyer who has the benefit of a Tender Bond will be able to call the Bond and receive some compensation for the extra cost he will incur as a result of the delay he will suffer in getting the contract started. He will either have to enter into negotiations with another bidder or even re-issue the tender and go through the tendering process again. The value of the Tender Bond will vary but it does not usually exceed 5% of the prospective Contract price. The wording of the Bond is reasonably straightforward and may be prepared on the headed notepaper of the Bank or other institution providing the Bond. The Bond creates a contract between the Bondsman/Guarantor and the Beneficiary who is the buyer or developer that issued the tender. Its terms are straightforward – if the Beneficiary makes a written demand, the Bondsman must pay. 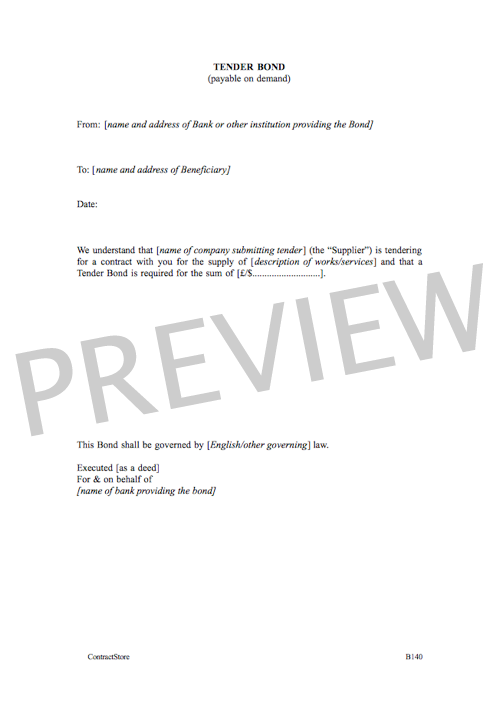 In our form of Tender Bond, we have included a requirement that a demand must be accompanied by a statement that the Contract has been awarded to the Supplier but the Supplier has failed to take it up within a specified period. We have also included a requirement that any demand shall be signed by a director of the Beneficiary/Buyer. Sometimes a Bond will contain a statement that “any demand must bear the confirmation of your (i.e. Beneficiary’s) bankers that the signatures on the demand are authentic”. This gives at least some protection that a demand is not made without proper authority within the Buyer’s organisation. The governing law and jurisdiction will usually be that of the Buyer. This can be important in international transactions: if the Buyer is situated in country A and the Supplier is based in country B and provides a Tender Bond from its bank in country B, should the bank fail to honour the demand, the Buyer will need to bring proceedings in country B. This will be more expensive for the Buyer and create more uncertainty than if the Bond is provided by a bank in its own country. A Buyer should take the precaution of ensuring that the invitation to tender specifies that the Bond is provided by a bank or other financial institution acceptable to it and having a place of business in the Buyer’s territory – i.e. country A in our example. This will enable the Buyer to bring proceedings in its own country’s courts if the Bondsman fails to honour its commitment to pay. The Bond should be executed (signed) by one or more duly authorised directors or other senior representatives of the Bank and, if English law applies, we recommend the Bond is executed as a deed.